Lost in the wake of the big studios adapting every comic book character or story under the sun through the years, the biggest one that had yet to be adapted was Watchmen. The Alan Moore/Dave Gibbons penned graphic novel had received critical praise upon its 1986 release. Its story was wide-ranging and the themes resonant among those who read it, yet for its aspirations and influence it was perceived as a film that could not be adapted. Names such as Terry Gilliam and Darren Aronofsky took a swing at the material before Zack Snyder (300) emerged as the one who took the reins of the film. David Hayter (X2) and Alex Tse adapted the graphic novel for Snyder's direction. Set in an alternate 1985 New York, where Richard Nixon has been reelected for a third term and costumed fighters of crime have been outlawed. With the murder of a former hero named The Comedian, a.k.a. Edward Blake (Jeffrey Dean Morgan, The Losers), Blake's friends and former co-workers in crime-fighting, a group called The Watchmen, start to wonder who may be next. A mask-wearer named Rorschach (Jackie Earle Haley, Dark Shadows) tries to find out who is responsible for the murder while eluding authorities, while Nite Owl (Patrick Wilson, Lakeview Terrace) has long since forsaken his past. Rounding out the rest of the Watchmen are Ozymandias (Matthew Goode, Leap Year), who not only revealed his true identity but embraced and parlayed his hero past. Silk Spectre (Malin Akerman, Wanderlust) inherited her role from her mother (Carla Gugino, New Year's Eve). And there is Dr. Manhattan (Billy Crudup, Eat Pray Love), a blue figure who is able to reshape himself in various sizes and locations, and has been gradually withdrawing from human beings who seem bent on destroying themselves in the Cold War '80s. This is hardly a representative sample of the story, as other smaller compelling things such as increasing tensions between the US and Russia permeate, along with looks at the first Watchmen, a group named the New Minutemen. I have always found myself somewhat apprehensive of Snyder's storytelling from a macro point of view. He tends to retell stories well in graphic form when done in a straightforward manner. Consider 300 for a second, with source material replicated nicely, but with a lack of a resonant story, the slow motion and general camera wizardry seems to want to cover for the story's flaws. With Sucker Punch, Snyder's mostly written work combined with his visuals tended to be a bit of a goat rodeo. With Watchmen, Snyder tends to stay out of the way of Moore and Gibbons' work for the most part, though his visuals tend to distract from things for a bit. I watched the theatrical cut of the film when it came out on video and thought it was interesting, though incomplete. With the longer cut not only incorporating the Tales of the Black Freighter graphic that was in the original book, but also including more practically shot film (the demise of the first Nite Owl may be the first which comes to mind, along with some additional superficial nips and tucks), it is a more fleshed out story. 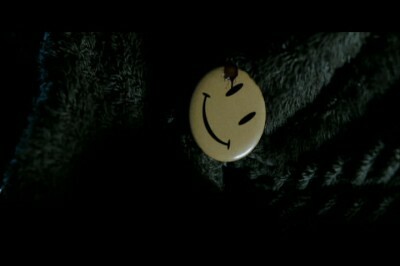 The characters tended to strike more of a melancholy tone this time around, with the Watchmen sharing experiences that few others could identify with. The current group also finds themselves in varying stages of their life post-masks, with Silk Spectre II and Nite Owl II seemingly at ease with it, the latter playing valet of sorts to Dr. Manhattan. Rorschach still has not given up, while The Comedian thinks the end is coming for the whole group. The newfound candor and bluntness the characters have in the film is surprising to see, even after the oodles of comic book adaptations of various types through the last several years. In that storytelling, the characters do a great job, a better one than I had recalled seeing a couple of years ago. But when transitioning to Snyder's action sequences, there tends to be a polished nature to them which leaves me feeling slightly hollow. For a movie that adheres to 1986 and 1987 rather well, the fight and action sequences come across as too glossy and polished. Something, ironically, outside of the era that Snyder is attempting to be faithful to. And because the fighting sequences occur so frequently, this is something so pervasive to the point of being distracting from the overall enjoyment of the feature. For as good as Watchmen is, and it is, it could be better if Snyder had reined himself in a bit. 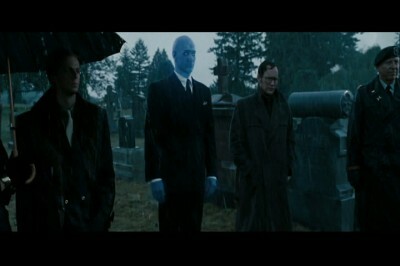 Ultimately, the legacy of Watchmen the film may be similar to a degree of Watchmen the graphic novels. Released to initial controversy and *cough multiple editions, when the final version eventually came out, was appreciated in the time following its debut. There may be some flaws in it (jeez, stop with all the slow motion already! ), but as a love letter to the source material, has some long developing waves of impact behind it. Perhaps the legacy is what should be remembered most. We get the extended cut of Watchmen in 2.40:1 widescreen and in high-definition using the VC-1 encode, and the results are superb. Running more than 50 minutes over its theatrical counterpart (3:35:25 vs. 2:41:54), the extended cut holds up nicely, with black levels being dark and inky through the feature and image detail in the foreground and background remaining sharp and easily discernible. Film grain is present during viewing and there are no bouts of DNR to distract. The Tales of the Black Freighter sequences also look sharp and vibrant and the film looks fantastic to match. Sure, it may be a port of the transfer from the previous Ultimate Cut edition, but that is not a bad thing in the slightest. The Dolby TrueHD 5.1 surround track is also from the last release of the feature and is also up to part of its visual merits. Dialogue is consistent throughout, the subwoofer kicks in early (during the Comedian's demise) and often during the prison breakout of Rorschach and in the final climactic sequence with Ozymandias. Channel panning is abundant, for instance during the New York street sequences, and directional effects are just as prevalent and effective. Want to piss the neighbors off and drool at the sonic manna of the medium? Put in this disc. Those of you who are owners of the previously issued Complete Story are going to find a lot of similar material here. There are two commentaries on the extended cut, one with Snyder, where he talks about the intent and look of the film and some particular scenes in it. He also gets into some scene-specific breakdown. He has some good recall on the production and points out some minor 'easter eggs' in scenes. He talks about working with CG and what is practically shot, and spotting parts he likes more than others. It is a solid track for the most part. The other track with Gibbons is somewhat less action, and he spots shots from the comic that are in the film, and what he likes and doesn't about the film. Most of the track is spent raving about the 'almost obsessive attention to detail' in the sets and scenes, and there are some moments of interest in the commentary, but not many. Eleven video journals (34:39) discuss the story and the work to adapt it into film, and aspects of the production such as set and costume design are given some attention. Fight sequences are rehearsed and discussed, and the process of making Crudup fit the Manhattan role is given some attention (other characters receive similar focus). It would be nice to have a 'Play All' feature to this, but such is life. Four featurettes follow and all are decent. "The Phenomenon: The Comic That Changed Comics" (28:46) examines the graphic novel, its impact on the comic book world at the time and its legacy since then. The cast and crew talk about their thoughts on the work, and members of DC and various peers talk about how good it is from their perspective. Gibbons talks about some particular points within the book, and other moments in it, and the character motivations are lightly touched on. "Real Super Heroes: Real Vigilantes" (26:17) examines the world of costumed crime fighters and vigilantes who eschew said costumes, looking at things like the Bernhard Goetz trial from the mid-1980s and the Guardian Angels group. The morality within these figures is examined a bit, and the degradation into crime for New York in the '70s and '80s is recalled. The piece is interesting, though a little long for my tastes. Along those same lines, "Mechanics: Technologies Of A Fantastic World" (16:49) examines the science in the movie and how realistic it is and adherence to it. "Story Within A Story: The Books Of Watchmen" (25:01) looks specifically at the "Tales From the Black Freighter" and "Under The Hood" sub stories located in the comic, and attempting to decipher the meaning of them as best they can. Stephen McHattie, who plays the first Nite Owl from the World War II era, covers the "Under The Hood" story from his perspective and the cast talk about their thoughts on the story. It was an interesting piece, and transitions to the full "Under The Hood" special (37:36), an in-character piece that is fully produced by Snyder. It serves as a biographic piece on the Nite Owl character and examines the New Minutemen and Watchmen angles, and includes interviews with the cast members. It even includes fake commercials as well. While a bit lengthy it is nice to check out. A music video by My Chemical Romance (3:15) is next. Moving along, the Motion Comic of Watchmen is included (5:25:26). The Motion Comic is somewhat self-explanatory, but if not, it attempts to be as faithful to the comic frames as possible, with an occasional liberty given to the action in the story. Given a VC-1 encode and presented in 1.78:1 widescreen, with a Dolby TrueHD 5.1 soundtrack to boot, the story is straightforward in its retelling and a nice inclusion in these sets for comparison's sake. The Digital Copy of the theatrical cut has been replaced by a standard definition copy of the film (where the screengrabs originate). Compared to the extended cut, this 'Black Freighter-less' version of the film seems a little more streamlined, yet feels incomplete without the missing non-animated footage that it sports. While it would have been nice to have a Blu-ray disc of this cut thrown on for completion's sake, this is the next best alternative. And if you do not dig the motion comic, than the physical material is here, with the graphic novel in hardcover form. The packaging notes some recoloration of artwork, resulting in pages that sport color than has not been seen since the original edition, though not having seen the graphic novel in a long time I cannot say definitively if that is the case. But hey, a hardcover version of the source material is something to crow about. The set includes lenticular cover is a comparison between the drawn characters and their 'real-life' incarnations. For those who already own the Ultimate Cut of Watchmen, know the only addition to this set (aside from a physical disc of the theatrical cut and a streaming code for the extended) from the preexisting one is the source material, albeit in a nice, colorful hardcover book. If you do not have the set in some manner or fashion, the set is chock full of production information and detail, wrapped in a nice blanket of stellar technical merit and a good story in the middle. There is definitely enough here to make this set one of the DVDTalk Collector's Series.